‘Die Zeit, die ist ein sonderbar Ding’, sings the Marschallin in Hugo von Hofmannsthal and Richard Strauss’s Der Rosenkavalier – ‘Time is a strange thing’. Time for Dame Kiri Te Kanawa, one of the most admired Marschallins of our age, is not about looking back. It’s for looking forwards. ‘I get bored talking about the past’, she says, a line Hofmannsthal might easily have dropped into one of his librettos. Dame Kiri may have stopped singing publicly (‘No, I don’t miss it’), but she certainly doesn’t consider herself retired. She maintains a busy schedule overseeing her Foundation, an organisation to help future generations of singers. ‘Some of my students say to me, “How can I repay you for what you’ve done for me?” I reply, “Just be successful!”’ And if anyone has experienced success it is this possessor of one of the loveliest voices of modern times. That great connoisseur of the voice (and one of Gramophone’s best-loved contributors) John Steane commented of Te Kanawa’s ‘Dove sono’ (Le nozze di Figaro) that ‘the legato is perfect, the style aristocratic, the tone at its loveliest’, and drew comparisons with Meta Seinemeyer (and from JBS that was high praise indeed). 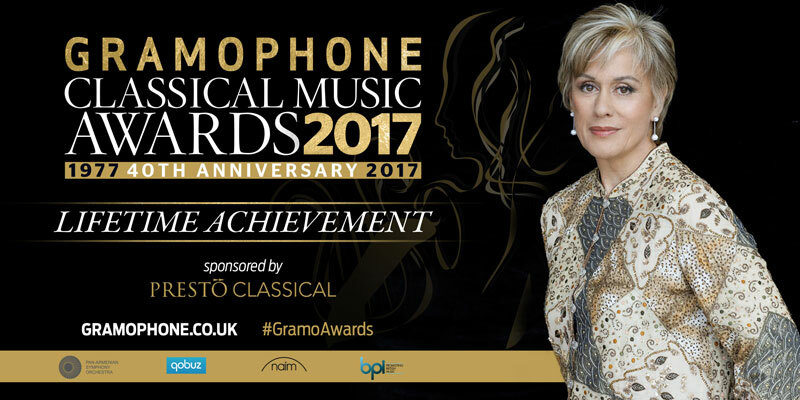 It’s exactly 25 years since Gramophone bestowed its Artist of the Year Award on Dame Kiri. That year, 1992, had been an extraordinary one for her when it came to recordings: we’d had Richard Strauss’s Der Rosenkavalier from EMI, conducted by Haitink, a second recording of the Four Last Songs from Decca, conducted by Solti, Johann Strauss’s Die Fledermaus from Philips, conducted by André Previn, as well as an album of songs by Michel Legrand (to add to a sizeable lighter catalogue that included Gershwin, Bernstein, Kern and Rodgers and Hammerstein). As we celebrate Kiri Te Kanawa’s career with the Lifetime Achievement Award, we must be thankful that she lived through one of the richest periods for recordings and had the fortune to record for companies with great operatic heritages: Decca, EMI, Philips and CBS/Sony Classical. She enjoyed recording because, she says, ‘I liked the idea of getting things down while my voice was still in good shape. I always felt that while it was still there and still with a sweet quality to it, the more we could capture the better. Getting it perfect wasn’t my idea; having long takes was. It had to be a performance; not spliced together.’ And she got the chance to record all her major roles (sometimes more than once: especially with the increased interest in DVD). Dame Kiri’s voice might have been made for the music of Mozart and Strauss, and her recordings of operas (and choral works and songs) by those two composers remain particularly cherishable: her Capriccio Countess was a glorious characterisation, as was her Arabella; and in Mozart we have her Pamina, Countess Almaviva, Donna Elvira (particularly fine both under Sir Colin Davis and in the classic Joseph Losey film with Ruggiero Raimondi as Giovanni) and Fiordiligi, not to mention a glorious C minor Mass and some of the concert arias.